A pitch-black sky and an empty landscape made for a deadly combination that was no respecter of daylight command hours. How much experience does it take to safely fly out of an outback Australian campground at night with zero ambient illumination? 1000 hours? 5000 hours? 10,000? The hands at the controls of the AS355F2 Twin Squirrel near Lake Eyre on the evening of 18 August 2011 had successfully piloted for over 16,000 helicopter hours. This placed the pilot in command (PIC) among Australia’s most experienced and most respected. These same hands had skilfully guided machine and crew through the infamous weather of the 1998 Sydney to Hobart yacht race. In 2011 he had flown into the flood-ravaged Lockyer Valley where his crew were the first to broadcast the devastation of the 2011 Queensland floods. Now these seasoned hands were about to pilot a machine on a routine 30-minute flight to an overnight stop at a nearby homestead. Tragically, despite the fact the aircraft was completely serviceable, equipped in accordance with the regulations and piloted by a 16,000-hour veteran, it would never arrive. 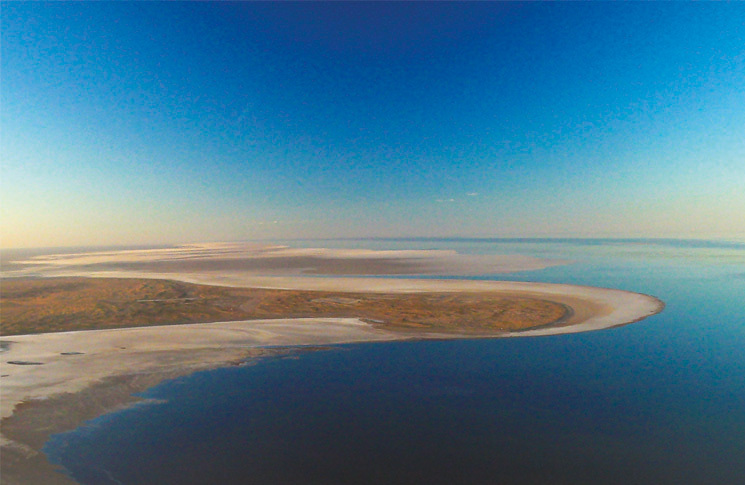 The crew of the news helicopter had arrived at the Cooper Creek campground near Lake Eyre to film a normally barren lakebed flush with water and life. The intention was to capture footage of the revitalised lake and then interview a tour group who had set up camp. They would then fly back to the homestead for the evening. Filming and campground interviews saw darkness descend before the Squirrel departed. At about 19:00, some 40 minutes after last light and with no horizon-glow from the recently retreated sun, the Twin Squirrel began its final take-off. Climbing near-vertically from the hover, using the campfire as an initial reference point, the aircraft ascended from Cooper Creek into the pitch black of outback darkness. Anyone who has flown dark-night operations in outback Australia will attest to the oppressive darkness enveloping the aircraft once the comforting glow of the ground is gone. A pilot who flew for the same news company in similar conditions had called this moonless darkness ‘frightening’. Without moonlight or useful ground lights, an ascent at night offers only eerie nothingness between ground and sky. Visually, no matter how experienced the pilot, it is impossible to discern any difference between down and up outside the aircraft. As the aircraft climbed to 1500 ft above Cooper Creek inlet, the ability of the pilot’s visual system to orientate the aircraft was rendered irrelevant by the darkness. This left only the physiological ‘balance organs’ between him and serious disorientation: the easily fooled vestibular and somatosensory systems. (See this Flight Safety Australia story for a comprehensive discussion of the biological basis of spatial disorientation.) The safest thing to do at this point would have been to ‘get on the clocks’; that is, focus on the aircraft attitude indicating systems (the Squirrel had two) and let the artificial horizon be the guide. However, as the aircraft climbed further and further away from the ground into the outback darkness, the pilot focused on programming the GPS. Witnesses on the ground were surprised to see the aircraft level off, tracking in almost the opposite direction from the homestead, and then slowly turn right as the pilot pressed the GPS buttons. Inside the cockpit, the pilot, with his eyes off the attitude indication systems and on the GPS, did not notice his aircraft had entered a slight and yet treacherous descending right-hand turn. The aircraft instruments displayed this movement perfectly, but with his eyes elsewhere, and with the balance organs of the inner ear failing to detect the insidious movements of the right turn, the aircraft’s angle of bank and rate of descent continued to increase. During the day any set of eyes looking to the horizon would have seen the alarming descent attitude of the aircraft and quickly called attention to it. Within seconds the aircraft could have been righted and proceeded safely on its way. But in the unforgiving darkness of remote Australia, and with the aircraft’s attitude change below the detection threshold of the balance organs (about two degrees per second) there would never be such a life-saving call. With noise-cancelling headsets subduing the increasing wind-rush, the only indication of imminent catastrophe was the unnoticed aircraft instruments—the ‘clocks’—by now showing the aircraft at nearly 60 degrees angle of bank and 4000 feet per minute descent. Ten seconds after this, the aircraft hit the ground at nearly 90 degrees angle of bank with impact forces that were unsurvivable. The simple fact is no one can ‘out-experience’ human physiology. A 16,000-hour pilot’s vestibular system, for good or for ill, will operate in the same way, with the same limitations, as that of a 100-hour pilot. On that night over Lake Eyre any pilot, no matter how experienced, and with those same conditions, would have had physiologically the same sensory experiences as the accident pilot. The only difference—the life-saving, accident preventing difference—would have been to get eyes ‘on the clocks’. These would have provided mechanically what human systems physiologically could not: accurate orientation in the intractable darkness. Flying on the clocks increases the pilot’s workload dramatically, particularly if they are not current in what Wolfgang Langewiesche called the ‘fierce and monkish art’ of instrument scan. Conceptually, workload for a helicopter pilot is no different to workload for the engine, as measured on the little torquemeter with the percentage scale: if either goes beyond 100 per cent something’s got to give. It appears a misprogrammed GPS added the deadly few per cent. Neither the pilot nor the helicopter was equipped for true darkness. The pilot did not hold a command instrument rating, and the helicopter was not approved for IFR operations because, among other things, it had no stability augmentation system. 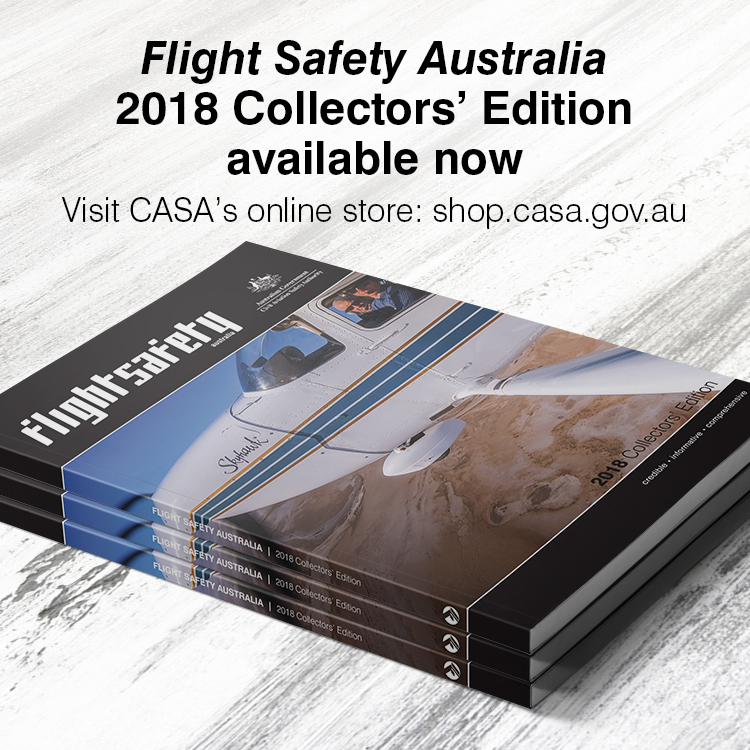 The Australian Transport Safety Bureau’s (ATSB) report revealed a sad truth about the pilot’s 16,000 hours. Of those, fewer than 500 were conducted at night. This equated to about two per cent of the pilot’s flying time. This meant 98 of every hundred flights (on average) were in daylight conditions; and months separated sporadic night flights. The ATSB also estimated the greater majority of these night hours were over lit areas, including the night proficiency checks. On the pilot’s last night check some months before, the check pilot wrote: ‘The check was not conducted in dark-night conditions’ and the pilot’s next check ‘should address night flight in marginal VMC to revise instrument scan skills’. The ATSB discoveries indicated a form of experience/currency dissymmetry had developed. Essentially the pilot’s type of experience and currency did not match the type of experience/currency demands of a dark-night departure. Sixteen thousand hours of day flying were ultimately rendered irrelevant by the unmet demands of a dark night instrument scan. Night VFR conditions are essentially urban—they do not exist in the vastness of outback Australia. Among the many safety lessons from the Lake Eyre tragedy are two important lessons regarding this experience ‘dissymmetry’. Firstly, ‘experience’ alone can be a fickle safety metric especially in the helicopter world. Employment requirements in industry are generally quite clear in terms of such things as command, instrument and multi-engine hours, but the sheer diversity of rotary wing operating profiles can produce interesting mismatches of experience-to-task. For example, an operator might stipulate 100 hours on type for a multi-engine IFR helicopter operating using night vision goggles (NVG) but zero hours requirement for NVG itself. This then means the operator hires a pilot with the requisite hours on type, but the pilot with 500 hours NVG and thousands of hours total time is rejected. In another situation, a pilot has thousands of hours total and hundreds of hours instrument (from a time ten years before) but has been flying mainly in remote areas in recent years. They are then expected to act as a PIC in congested airspace and inclement weather. In these situations, as for the Lake Eyre accident, experience alone is not a replacement for targeted currency training, or for appropriate recency. A second lesson is that rules are not necessarily built for experience dissymmetry—they are not necessarily built for a distracted, pressured or fatigued pilot having their worst night in the worst conditions. At the time of the Lake Eyre crash, the rule-set covering night VFR was comprehensive but it missed a key hazard—non-stabilised, single-pilot flight with zero external visual cues. This was located in rules relating to IMC. An amendment to Civil Aviation Order 20.18 came into effect from 1 January 2016, and specifies that if ‘surface features’ or a visible discernible horizon cannot be seen, a helicopter must have two pilots, or an autopilot, or an approved automatic stabilisation system. This amendment means any operations similar to the Lake Eyre flight nearly five years ago will only be legal if flown by two pilots or in a stabilised aircraft. This excellent Flight Safety piece notes that “‘experience’ alone can be a fickle safety metric”. It’s my opinion that experience can indeed contribute to and perhaps even be causal in accidents of this sort. A highly experienced, mission driven pilot can, as many accident reports reveal, be reluctant to cancel or abort even when things are clearly outside of the envelope of their their previous successful sorties. This is really a matter of integrity and judgement. Bending, ignoring, or purposefully ignoring risks becomes a habit when each infraction produces positive results. The 16,000 hour pilor, evidently a living legend from his many exploits, perhaps became a believer in his own mythos. Numerous examples from accidents over the past three decades, all fatal, come to mind. RIP. Brilliant article. Brings out the ever present danger of continuing VMC flight into IMC conditions. Being an offshore pilot, can very well imagine the scenario. There’s not much different between the Australian outback and the offshore environment on a moonless night. It makes little sense pitting experience and log book totals against the ever present danger of spatial disorientation. With addition of more and more avionics into light single-pilot helicopters, distraction during crucial phases of flight is another open trap. Night VFR in such featureless and horizonless landscape (or seascape) is an oxymoron we can live without. Every fixed wing pilot, regardless of experience, should also read this article.